It’s 2011 and time to get a new Verizon Android phone this year. So what is the best Verizon Android phone 2011? There are a number of choices depending on the features and how much you are willing to spend. The DROID INCREDIBLE is for sale free out of pocket today and you won’t believe what you are getting out of this deal. There is not rebates required and there is a bonus Bluetooth headset too if you order today. Wait, there is more than 1 best Verizon Android phone in 2011. Want a bigger screen then DROID X is a better choice if you don’t mind paying a little bit more – come on we are only talking about $49 here and you are getting a really high-end smartphone with 4.3 inch touchscreen, 1 GHz processor, and 8 megapixel camera. Or if you don’t mind sacrificing some screen estate and having a full QWERTY keyboard, DROID PRO is just as good as or even better than the other 2 Android phones. Tough choice, right? Then try 3 or 2 of them at once with a new family plan and see if you like them. Update: All DROID smartphones are FREE out of pocket today! 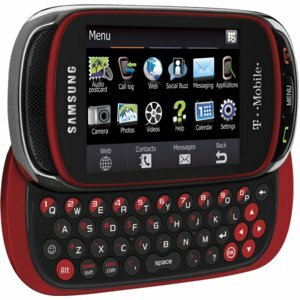 What’s new in 2011 for T-Mobile? 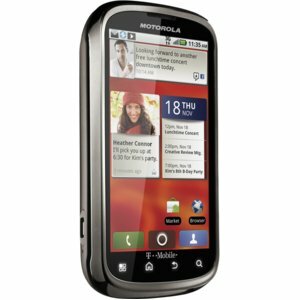 We have the all new Motorola Cliq 2 for sale at a very cheap price today when you sign up a new plan with TMobile. The Cliq 2 builds on the highly successful Motorola Cliq Titanium – it has been one of the top selling T-Mobile in 2010. How cheap is Motorola Cliq 2? You can have it for only $99.99 today. What does Cliq 2 bring and make it worth the upgrade? Well, first, this new Android smartphone has a bigger screen – 3.7 inch high resolution. And it’s powerful too. The Cliq 2 is powered by super-fast 1GHz processor, which mean speedy web browsing, faster downloads/uploads, and multitasking. The redesigned slide-out full QWERTY keyboard make emailing and updating social networking status easier. Oh, one feature that no other TMobile smartphone offers is the Mobile Hotspot – allowing up to 5 WiFi devices to be connected to the Internet at the same time. Get the cheap Motorola Cliq 2 now while it’s on sale. Upgrading to the latest Blackberry phone is always a smart move. If you can get the cheapest Blackberry Bold 9780 without rebates, it’s even smarter. We have the cheap Blackberry Bold 9780 for sale at only $99.99. No need to file rebate claim. No activation fee either when you sign up a new plan or add a line to T-Mobile account. The Bold 9780 is the first TMobile Blackberry to use the new OS 6. All the new features are very impressive. You will have the full HTML capability, universal search, 512mb built-in memory, better camera with 5.0 megapixels, easy access to social networking sites like Facebook and Twitter through free Apps. And of course, Blackberry Bold 9780 lets you View and Edit Microsoft Word, Excel and PowerPoint Documents so you are up-to-date with what’s going in the office while you are away. 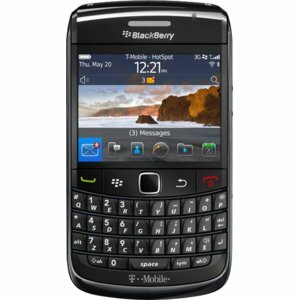 The cheap Blackberry Bold 9780 for sale price is for a very limited time only. Get yours while supplies last.